A program that helps small-scale farmers in Mozambique to plant sweet red potato rich in vitamin A, which has reduced the rate of cases of diarrhea in children 40 to 50 percent, according to a new study. The researchers say this is the first time a development program that focuses on agricultural production has helped improve health. Diarrhea is the second highest cause of death for children under five, according to the World Health Organization (WHO). Lack of vitamin A increase the risk of diarrhea and other serious infections. Approximately 190 million children of preschool age in the World do not get enough vitamin A. For decades, health sector officials have been sending vitamin supplements to prevent the consequences of a lack of vitamin A. And the experts say it is effective but a temporary solution for a more fundamental problem: those affected do not have access to nutritious food necessary to stay healthy. "Efforts to increase the amount of vitamin A in foods consumed through the program will be more sustainable agriculture," said Alan de Brauw of the International Food Policy Research Institute, one of the authors of a new study published by the World Development journal. And de Brauw's colleagues in agricultural research organization HarvestPlus launched a program in 2006 to introduce a sweet red potatoes to 24 villages in Mozambique, where nearly 70 percent of children are deficient in vitamin A. Farmers have planted white or yellow potato varieties which lacks nutrients. 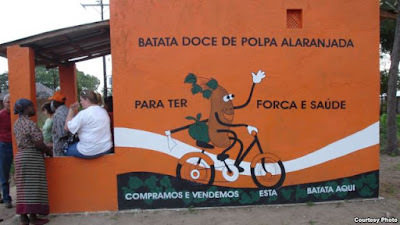 While a red potatoes provide the supply of vitamin A for one day. For three years, villagers receive yams, training and education to grow the plants and the importance of vitamin A. At the end of the study, researchers gave them a question about consumption of food and health, including whether their children get diarrhea recently. 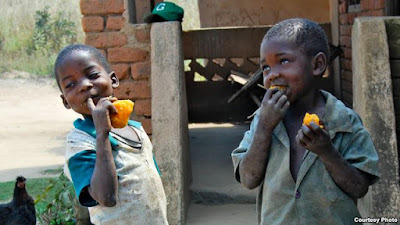 Cases of children with diarrhea 40 percent lower in villages that planted sweet potatoes, compared to 12 other villages that have not been touched by the program. Among children under the age of 3 years, the difference is 50 percent. "No one has ever shown that intervention in agricultural production can have an impact on health. So this is a great finding," says de Brauw. The experts promote the idea that teaching farmers to plant more crops better is the best way to not only eradicate poverty and hunger, but also against the disease. "This area of ​​research is very 'hot' right now," says nutrition expert and consultant Anna Herforth, who was not involved in the study. She said the study was "well designed to show the real connection between food production available to the public and they like and consume it, then it is good for health."